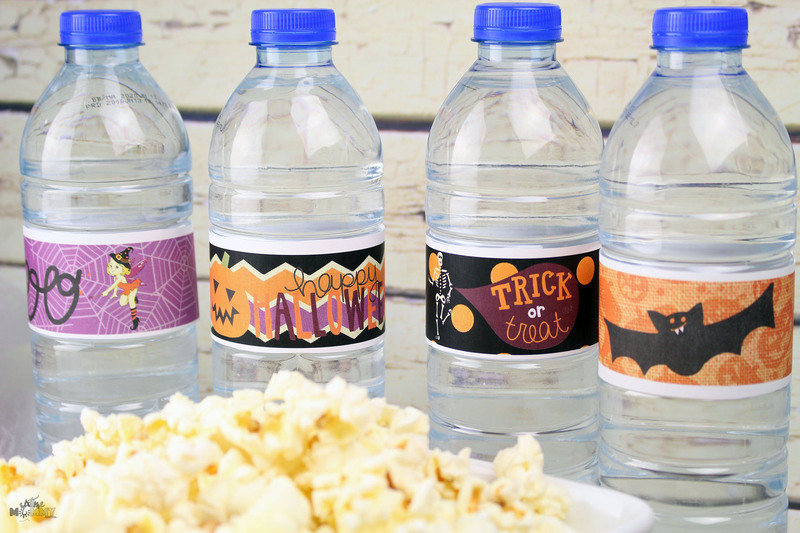 With Halloween coming up it’s time to start thinking about fun ideas for the kids for school, after school and their little parties they may be having at school! 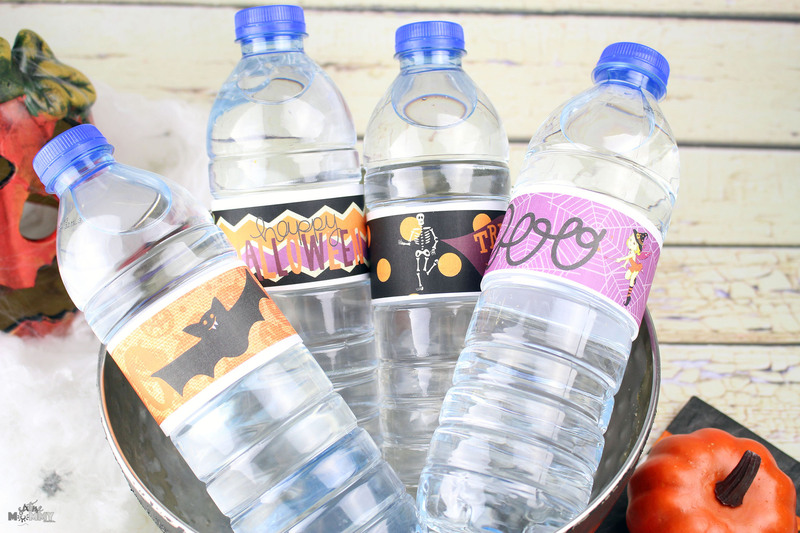 I thought it would be really fun to create some water bottle label’s so the kids could bring them to school in their lunches, for their parties or they are a fun idea for after school snacks and drinks. After you print out the printable cut them out. 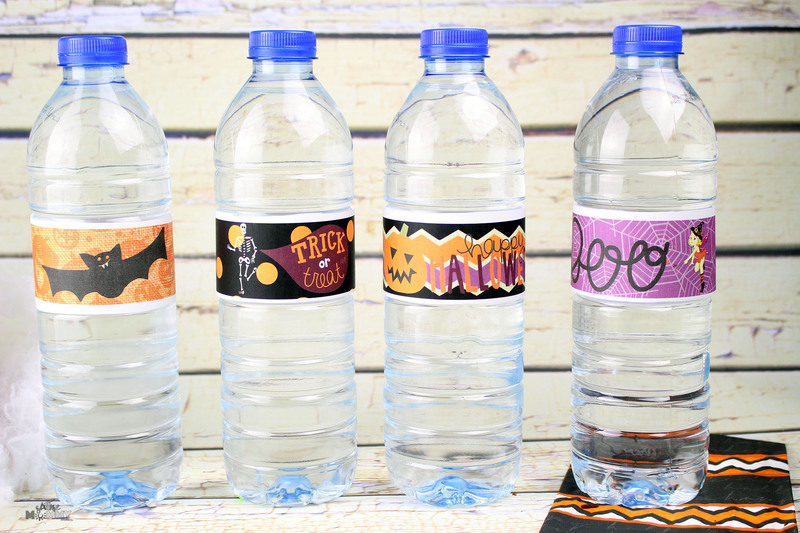 Remove the label’s already on the water bottles, and there should be some sticky glue left over – leave this on you’ll need it. Once your labels are ready to put on warp around the bottle sticking the one end to the glue already on the bottle and using a glue stick, or another glue place a little bit along the edge of the other end of the labels. Stick together. All done. 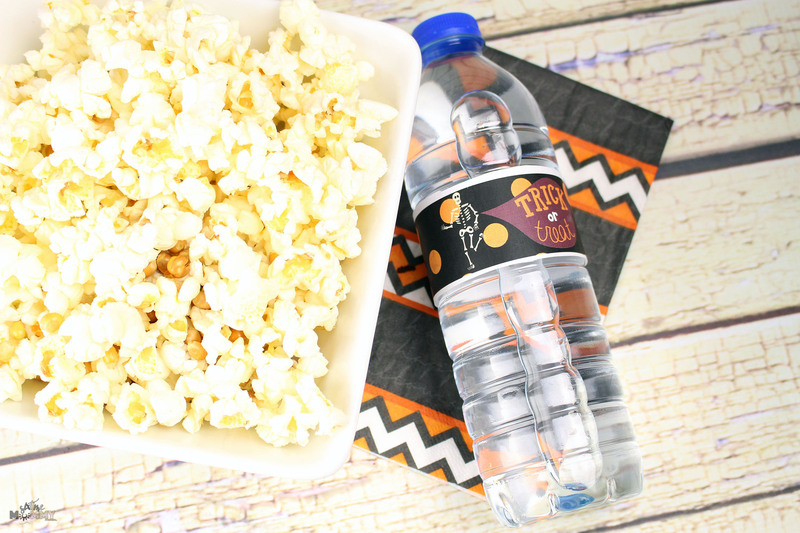 Quick and easy, super cute! 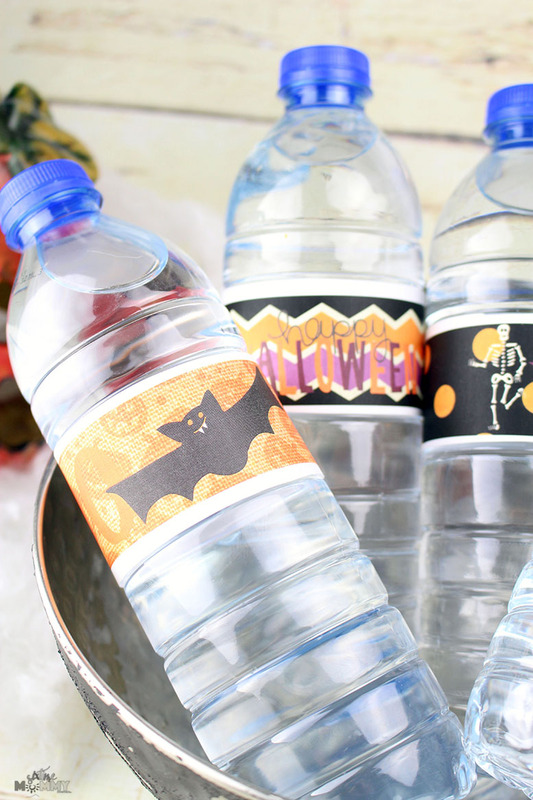 I know water isn’t too exciting but it’s important amidst all the candy and sugar our little goblins stay hydrated. So during this fun time, my kids will be enjoying just water. After sharing my Non-Candy Bubbles Halloween idea I got a comment about giving out toothbrushes. I think next year I’ll do up something with teeth, and toothbrushes… How fun would that be? 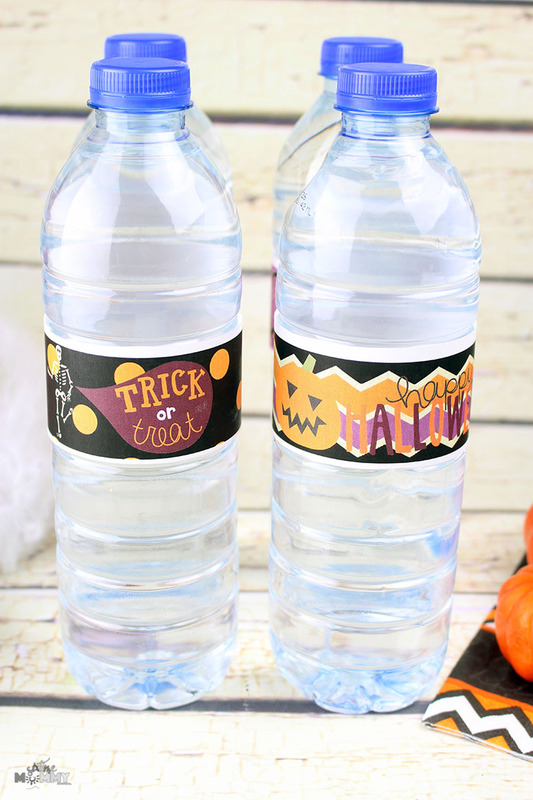 All kidding aside though, during Halloween no matter how much we try the in moderation thing it generally doesn’t work as well as we’d like so sticking to some H20 won’t hurt them and by using a fun printable like this one at least it’s sticking to the theme, right? It’s fun.